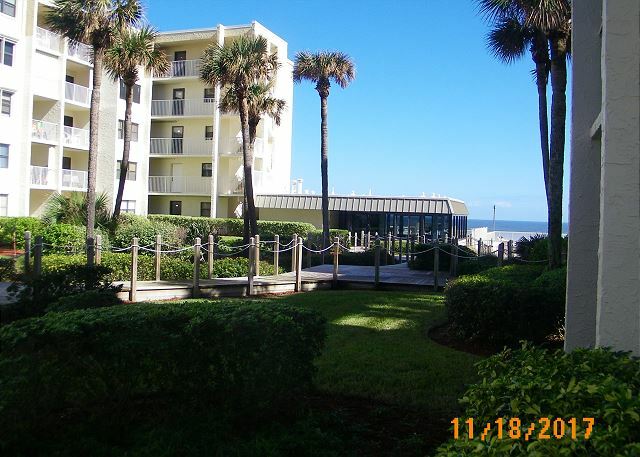 Beautiful ground floor 1 bedroom condo,and steps from the pool and beach. Nicely furnished with a comfortable king bed , two flatscreen TV's, and tile throughout. Nice beach views while enjoying a cool drink on the patio. We hope you enjoy this wonderful place as much as we do. A very positive experience. Great beach, great location, and nice people!